WeÂ´re proud to announce that today seen. 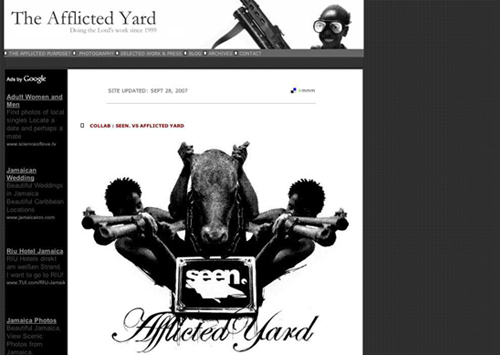 launched the very first cooperation T-Shirt that the living Jamaican photography-legend, Peter Dean Rickards (The Afflicted Yard is in your bookmarks anyway, right? ), has ever released. As in reggae- and dancehallmusic everything starts from “Scratch”, we chose P. D. R.Â´s portrait of groundbreaking genius producer Lee Perry to kick off the cooperation. Get yours now, before them gone.